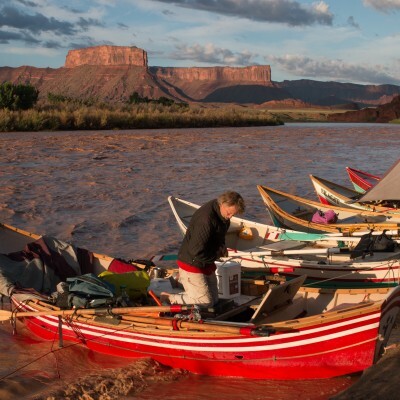 Colorado River & Trail Expeditions has been running a photo contest this entire year. The photo contest has three categories: people, scenery, and river. The winners of the photo contest are chosen based upon their popularity on social media. The winner of each category will receive a multi-day rafting expedition on through one of Utah’s Desolation, Cataract, or Westwater Canyons. The Grand Prize winner will receive a river rafting trip through the Grand Canyon in 2014 with acclaimed photographer Tom Till. The contest will end at midnight on November 30, 2013 and the winners will be announced shortly after. If you have a photo in the contest be sure to promote your chances of winning by getting everyone you know to vote for your photo. If you don’t have any photos in the contest make sure to go to the Colorado River & Trail Expeditions website and browse the incredible artwork on display and be sure to vote for your favorites. Posted November 7, 2013 by Crate Inc.